Henri Rousseau Forever Furniture Founded in 1989, Rattan Deco originally focused on home furniture, but in recent years the company has started to create furniture for hotels and resorts. They use a range of woods such as ash, pine and oak. All of their products are made in Mogente, Spain. Founded in 1989, Rattan Deco originally focused on home furniture, but in recent years the company has started to create furniture for hotels and resorts. They use a range of woods such as ash, pine and oak. All of their products are made in Mogente, Spain. Henri Rousseau Forever Mosaics The Scuola per Mosaicisti di Spilimbergo (Spilimbergo Mosaic School) was founded by Lodovico Zanini and Ezio Cantarutti in the wake of the First World War in 1922 to offer young people the opportunity to work and study. Spilimbergo presented a perfect place to do so given its deep-rooted tradition in mosaic and terrazzo dating back to Roman times. Mosaic works from Spilimbergo have adorned monuments and streets throughout the world for centuries. Today the professional school aims to give meaning to this rich history as well as provide space for contemporary issues and solutions, stimulating research, innovation, creativity and participation. 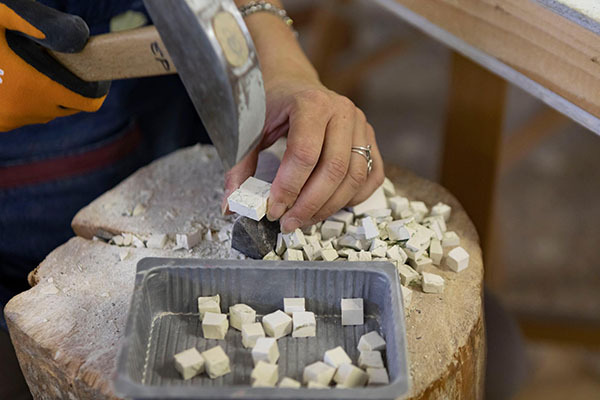 The Scuola per Mosaicisti di Spilimbergo (Spilimbergo Mosaic School) was founded by Lodovico Zanini and Ezio Cantarutti in the wake of the First World War in 1922 to offer young people the opportunity to work and study. Spilimbergo presented a perfect place to do so given its deep-rooted tradition in mosaic and terrazzo dating back to Roman times. Mosaic works from Spilimbergo have adorned monuments and streets throughout the world for centuries. Today the professional school aims to give meaning to this rich history as well as provide space for contemporary issues and solutions, stimulating research, innovation, creativity and participation. Henri Rousseau Forever Mirror Artigianato Artistico Veneziano (AAV Barbini SRL) is a company founded in 1927 by Nicolò Barbini that specialises in the production of Venetian mirrors as well as restoration of mirrors. Nicolò imparted his artistic temperament down to his sons, Vincenzo and Giovanni, helping them understand the secrets of the different working techniques. The mirrors of the Artigianato Artistico Veneziano Company have been exhibited in several fairs and exhibition halls. The company has also furnished hotels, palaces, residences and private houses in Italy and abroad with Venetian mirrors, tables, glass consoles and trumò, enhancing the artistic and architectonic beauty of the structures over the years. Artigianato Artistico Veneziano (AAV Barbini SRL) is a company founded in 1927 by Nicolò Barbini that specialises in the production of Venetian mirrors as well as restoration of mirrors. Nicolò imparted his artistic temperament down to his sons, Vincenzo and Giovanni, helping them understand the secrets of the different working techniques. The mirrors of the Artigianato Artistico Veneziano Company have been exhibited in several fairs and exhibition halls. The company has also furnished hotels, palaces, residences and private houses in Italy and abroad with Venetian mirrors, tables, glass consoles and trumò, enhancing the artistic and architectonic beauty of the structures over the years. 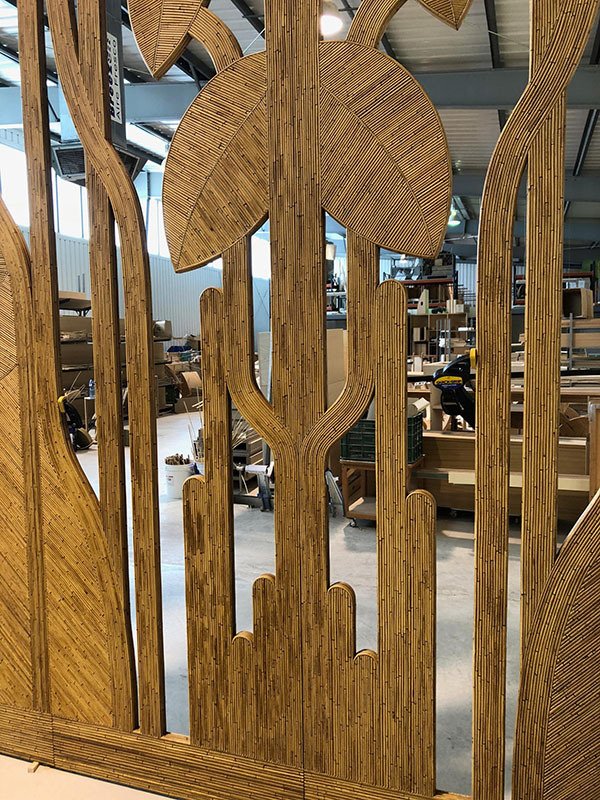 Henri Rousseau Forever Furniture François Passolunghi has been passionately creating and restoring rattan furniture in his workshop since 1993. François is one of the last craftsmen in the Alpes-Maritimes region of France to practise this old technique, which was passed down from father to son. François has distinguished himself through the intricate designs and creations produced in his studio. François watched his father working rattan from his earliest childhood, and later trained as a cabinetmaker in order to perfect his ability to work rattan. The nature of rattan, a tropical wood indigenous to equatorial zones, requires furniture to be worked entirely by hand. 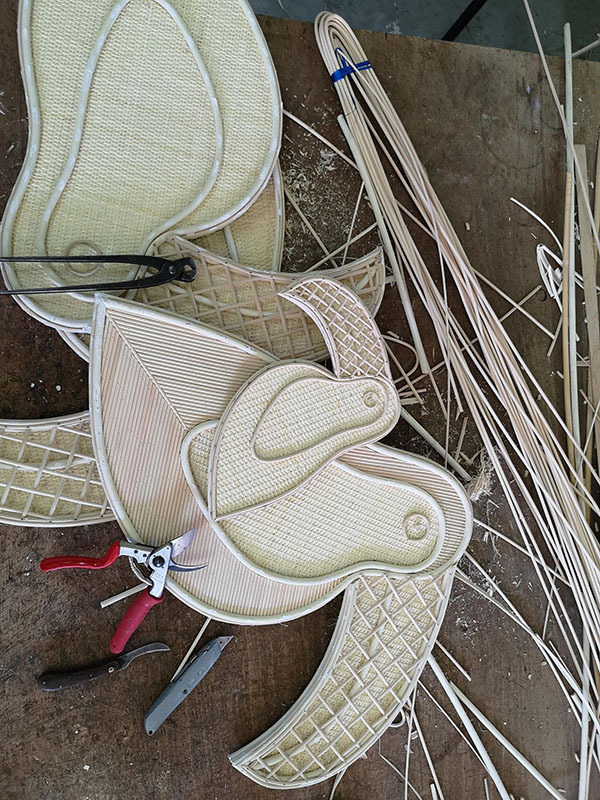 François Passolunghi has been passionately creating and restoring rattan furniture in his workshop since 1993. François is one of the last craftsmen in the Alpes-Maritimes region of France to practise this old technique, which was passed down from father to son. 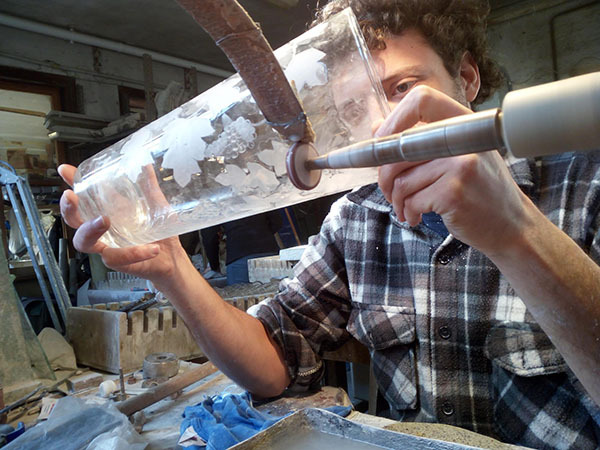 François has distinguished himself through the intricate designs and creations produced in his studio. François watched his father working rattan from his earliest childhood, and later trained as a cabinetmaker in order to perfect his ability to work rattan. The nature of rattan, a tropical wood indigenous to equatorial zones, requires furniture to be worked entirely by hand. Henri Rousseau Forever Lighting Headquartered in Recanati, iGuzzini illuminazione S.p.A produces indoor and outdoor lighting fixtures. It is the foremost Italian company in the lighting sector as well as one of the most important in Europe. The company was founded in 1959 as Harvey Creazioni. It grew rapidly, separating production between indoor and outdoor lighting. Today, the company is a creative hub for continual innovation and is committed to the study and development of lighting solutions for cultural institutions, retail spaces, offices and numerous other private and public spaces. iGuzzini also works alongside leading architects, designers and universities to produce state-of-the-art lighting solutions. Headquartered in Recanati, iGuzzini illuminazione S.p.A produces indoor and outdoor lighting fixtures. It is the foremost Italian company in the lighting sector as well as one of the most important in Europe. The company was founded in 1959 as Harvey Creazioni. It grew rapidly, separating production between indoor and outdoor lighting. Today, the company is a creative hub for continual innovation and is committed to the study and development of lighting solutions for cultural institutions, retail spaces, offices and numerous other private and public spaces. iGuzzini also works alongside leading architects, designers and universities to produce state-of-the-art lighting solutions. Merry-Go-Round Furniture Milanese workshop VI.MA.S of Vitri Pietro has been producing high quality upholstery work since its creation in 1981. V.I.MA.S works on a wide range of furniture upholstery ranging from sofas and beds to curtains, using high quality materials such as silk, linen and cotton as well as contemporary materials including polyester. To ensure unremitting quality, the workshop continually updates and searches for new materials to work with. Guided by passion, knowhow and professionalism, the expert artisans at V.I.MA.S finish every hand-worked commission to perfection. Each creation or restoration is the result of intensive study and applied knowledge. 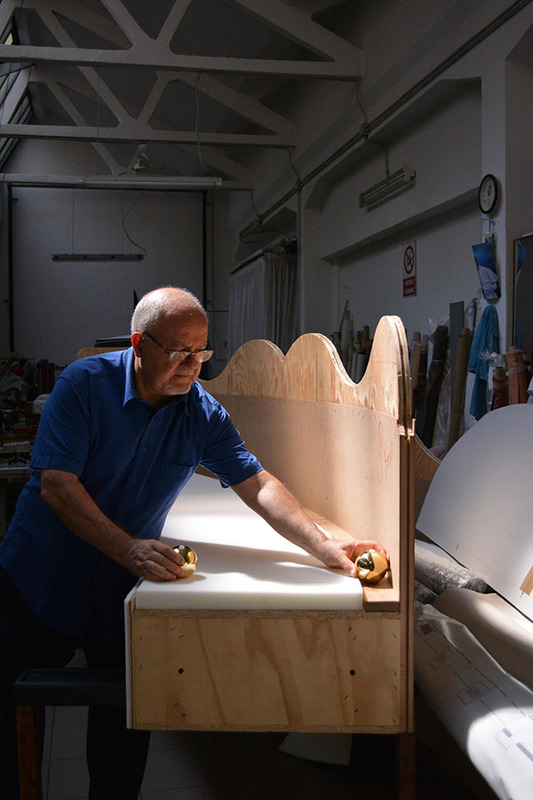 Milanese workshop VI.MA.S of Vitri Pietro has been producing high quality upholstery work since its creation in 1981. V.I.MA.S works on a wide range of furniture upholstery ranging from sofas and beds to curtains, using high quality materials such as silk, linen and cotton as well as contemporary materials including polyester. To ensure unremitting quality, the workshop continually updates and searches for new materials to work with. Guided by passion, knowhow and professionalism, the expert artisans at V.I.MA.S finish every hand-worked commission to perfection. Each creation or restoration is the result of intensive study and applied knowledge. Merry-Go-Round Carpet A reference for French custom-made carpets, Edition Bougainville® takes its name from the French explorer Antoine de Bougainville. Combining tradition with modernity, each piece is designed and completely handmade in France by a team of expert artisans. The company takes inspiration from quintessential French carpet designs of the past, including the enlightenment period and Aubusson traditions. 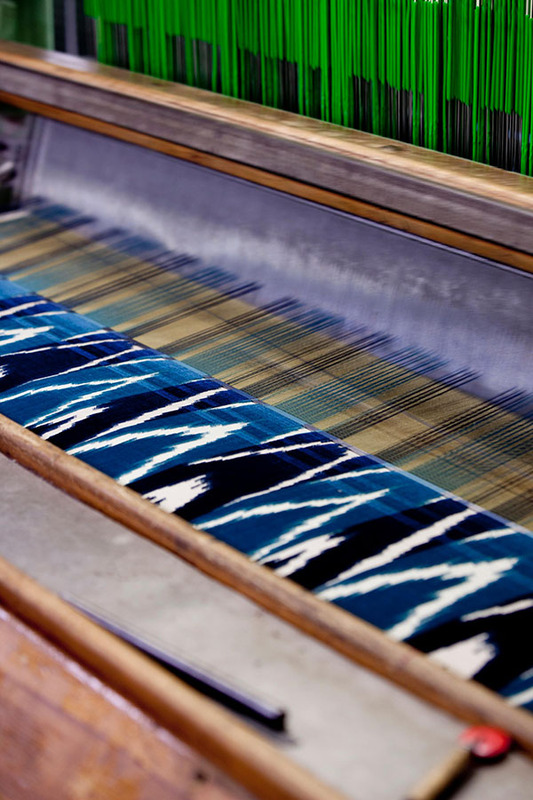 It also manufactures contemporary, innovative designs that evoke the rich French carpet manufacturing heritage. A reference for French custom-made carpets, Edition Bougainville® takes its name from the French explorer Antoine de Bougainville. Combining tradition with modernity, each piece is designed and completely handmade in France by a team of expert artisans. The company takes inspiration from quintessential French carpet designs of the past, including the enlightenment period and Aubusson traditions. It also manufactures contemporary, innovative designs that evoke the rich French carpet manufacturing heritage. Merry-Go-Round Woven fabrics Founded in 1976 by Nicola and Elda Fabrizio, Dedar (Design D’Arredamento) is a family-run fabric manufacturer located close to Como, Italy. Deeply rooted in the tradition of the silk district in Como, Dedar works with a number of master artisans and designers to experiment with designs and techniques for curtains, upholstery and wall coverings. 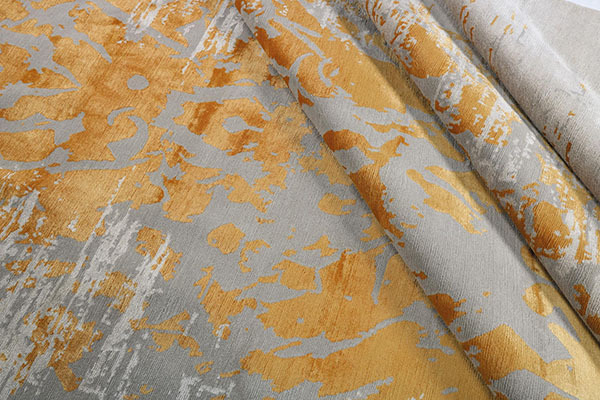 From 2011, Dedar has worked with Hermes to produce and distribute home fabrics and wallpaper collections. The Dedar Collection comprises over 300 articles and 3,000 colourways. Comprising just 12 people 15 years ago, Dedar now has an international team of 160 people. Dedar is true to its 'handmade in Italy' label. That said, inspiration for its innovative designs comes from cultures around the world including China, India and Africa. Founded in 1976 by Nicola and Elda Fabrizio, Dedar (Design D’Arredamento) is a family-run fabric manufacturer located close to Como, Italy. Deeply rooted in the tradition of the silk district in Como, Dedar works with a number of master artisans and designers to experiment with designs and techniques for curtains, upholstery and wall coverings. 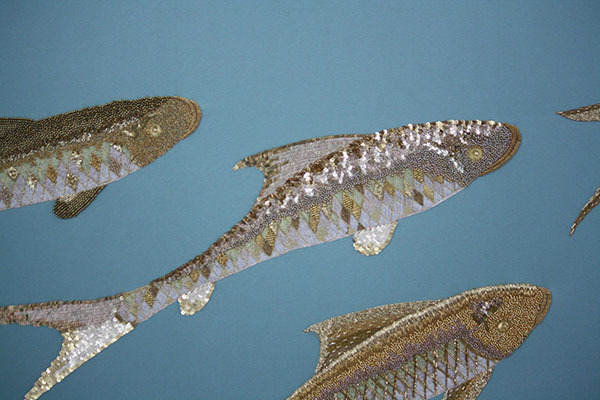 From 2011, Dedar has worked with Hermes to produce and distribute home fabrics and wallpaper collections. The Dedar Collection comprises over 300 articles and 3,000 colourways. Comprising just 12 people 15 years ago, Dedar now has an international team of 160 people. Dedar is true to its 'handmade in Italy' label. That said, inspiration for its innovative designs comes from cultures around the world including China, India and Africa. Merry-Go-Round Wallpaper De Gournay produces made-to-measure hand printed wallpapers and decorated china. Wallpaper and ceramics are hand painted or decorated with gold leaf or embroidery. De Gournay's workshops include expert artisans such as ceramicists, glaze artists, gilders, painters and embroiders. De Gournay offers clients the possibility to add hand sewn silk thread embroidery to their silk backed wallpapers and fabrics. Artisans hand sew with an exceptional level of detail and to the highest possible quality, something that is only achievable by hand. Artisans collaborate with clients in order to bring their vision perfectly to life. De Gournay produces made-to-measure hand printed wallpapers and decorated china. Wallpaper and ceramics are hand painted or decorated with gold leaf or embroidery. De Gournay's workshops include expert artisans such as ceramicists, glaze artists, gilders, painters and embroiders. De Gournay offers clients the possibility to add hand sewn silk thread embroidery to their silk backed wallpapers and fabrics. Artisans hand sew with an exceptional level of detail and to the highest possible quality, something that is only achievable by hand. Artisans collaborate with clients in order to bring their vision perfectly to life. Merry-Go-Round Lighting Headquartered in Recanati, iGuzzini illuminazione S.p.A produces indoor and outdoor lighting fixtures. It is the foremost Italian company in the lighting sector as well as one of the most important in Europe. The company was founded in 1959 as Harvey Creazioni. It grew rapidly, separating production between indoor and outdoor lighting. Today, the company is a creative hub for continual innovation and is committed to the study and development of lighting solutions for cultural institutions, retail spaces, offices and numerous other private and public spaces. iGuzzini also works alongside leading architects, designers and universities to produce state-of-the-art lighting solutions. Pierre Frey Upholstery Founded in 1935, the house of Pierre Frey creates, edits and manufactures upholstery fabrics. The notion of high quality work is not a hollow concept, rather, it is the cornerstone of this company in the purest French tradition. As the inheritor of expertise that built the company, Pierre Frey is inventive and deeply eclectic. The house draws its inspiration from the art of far-away ethnic groups, 18th century France and contemporary art. Pierre Frey's collections mix different materials and motifs in harmonious colours. Private individuals, leading decorators, upholsterers and cultural institutions appreciate Pierre Frey's boldness and high standards. Founded in 1935, the house of Pierre Frey creates, edits and manufactures upholstery fabrics. The notion of high quality work is not a hollow concept, rather, it is the cornerstone of this company in the purest French tradition. As the inheritor of expertise that built the company, Pierre Frey is inventive and deeply eclectic. The house draws its inspiration from the art of far-away ethnic groups, 18th century France and contemporary art. Pierre Frey's collections mix different materials and motifs in harmonious colours. Private individuals, leading decorators, upholsterers and cultural institutions appreciate Pierre Frey's boldness and high standards.